Subscribe to AWS Health events to know about problems in your AWS account upfront. AWS Health announces planned activities such as EC2 instance reboots, or certificate renewals. AWS Health also announces operational issues if a AWS service is not fully working. Get notified when the root user of your AWS account is is used to sign-in to the AWS Management Console. It's a best practice to not use the root user. Instead, you should use IAM users only where you can restrict access. Get fast feedback from your AWS CodePipeline when executions fail. 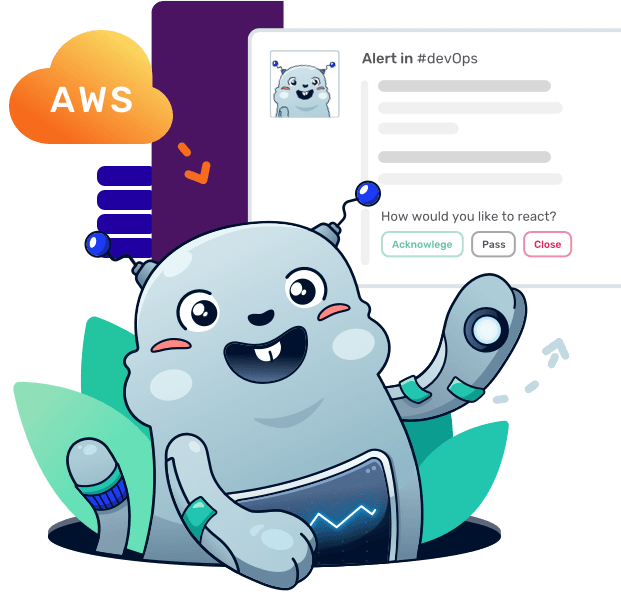 AWS CodePipeline is a continuous integration and continuous delivery service that orchestrates builds, tests, and deploys. or read the setup help page. Create a CloudWatch event rule to subscribe to events. If an event is broadcasted that matches the rule, the event is sent to marbot via HTTPS. Once marbot receives an event, marbot checks if the event is a duplicate to reduce noise. marbot also enriches the event with quick links to the AWS Management Console. Finally, marbot sends a Slack message with the event to a single engineer of your team. A member of your team now has to acknowledge the alert. marbot escalates unnoticed alerts to another team member or the whole crew if necessary. Once acknowledged, marbot waits until you have fixed the issue.